Nogoya Meteorite - Nogoya Meteorites For Sale - The Meteorite Exchange, Inc. The Nogoya meteorite is described as black as coal and sprinkled with white inclusions it is as beautiful as a star filled night sky. Nogoya is a meteorite only rarely seen for sale. 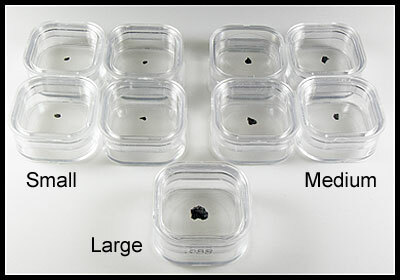 It is a CM type carbonaceous chondrite and like the other members of this subgroub it is black and friable filled with tiny bits of the primitive stuff that scientist love to study. Nogoya fell in Argentina in 1879 and so is also a very historically significant meteorite. With only 4 kilogram total recovered after over 130 years not much is ever available for the collector. The Nogoya meteorite is described as black as coal and sprinkled with white inclusions it is as beautiful as a star filled night sky. Nogoya is a meteorite only rarely seen for sale.